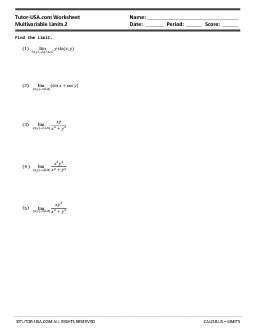 In this 100% free calculus worksheet, students are asked to find the value of multivariable limits (limits in 2 variables). First students should determine if limit exists or does not exist. Then find the value of the limit.